When you are touring wine country, it is helpful to be educated about what kind of wines are available and, more importantly, what you would like to be tasting. In our last blog we discussed the difference between red and white wine. In this next post, we will be going over the difference in types of white wines. In Santa Ynez Valley, wine tours are a special experience. With Silk Road Transportation on your side providing the best vehicles and service, you will love your trip to wine country. Our transportation company will get you to your tours on time and safely. Never worry about driving when you are riding with our transportation service. This a great white wine to try on your wine tour in Santa Ynez. This white is one of the oldest and has some of the finest grape variety. This wine is going to be greatly different compared to others you may try. This wine will be on the drier side and be more full bodied than most. The taste will range between lime and apple to bell peppers and more earthy, depending on when the grapes were picked and what climate they were grown in. In California, due to our warmer climates, you should expect stronger and robust flavors of peaches and passionfruit. This wine is best paired with lighter dishes with a punch of flavor. Goat cheese, oysters, sole, and asparagus go nicely with a delicious Sauvignon Blanc. Most of the time you will see Chardonnay used as the house white at many restaurants. This is the most popular of the white wine variety. This grape is the most planted in the world, with the ability to be versatile, which makes this wine so desired. The riper the grape is, the more fruity the wine will be. This wine will give off pineapple, mango, and apricot tastes. If the grape is less ripe, it will give off more of a lemon and green apple flavor. This wine pairs nicely along shellfish, grilled fish, chicken, and light pasta. Another very popular and drinkable white wine is this Pinot. This wine tends to have a nice light body with peach and pear flavors. However, this white does have more tannins because it is usually fermented with the skins of grapes. This wine is considered on the drier side but it is not full bodied like a Sauvignon Blanc. Dishes that go well with this wine are creamier recipes containing fish, chicken, or a vegetarian focus. If you think your palate might enjoy something a bit sweeter, this may be the wine for you! Riesling is considered one of the more unique wines because of the intense aroma it produces. Because it gives off scents of apples, nectarines, and peaches, this is wine you want to try. Riesling is considered one of the more sweet wines, but it comes in a variety. The wine always tends to be lighter than a Chardonnay. Similar to Sauvignon Blanc, you want to pair with foods that are rich with hints of lime and citrus notes. This white wine is sweet and flavorful and any wine lover can enjoy it! The aroma Moscato gives off is one of a kind and must be experienced at least once. The wine tastes like peaches, lemons, oranges, with hints of vanilla, caramel, and jasmine. Save this wine for the last part of your meal, dessert. This wine is sweet and will go well with any type of dessert. However, it also blends with charcuterie boards and Asian dishes. Knowing the different varieties of white wine will help your on your journey through wine country. Our Santa Ynez Valley Wine Tours are full of scenery, flavor, and fun. 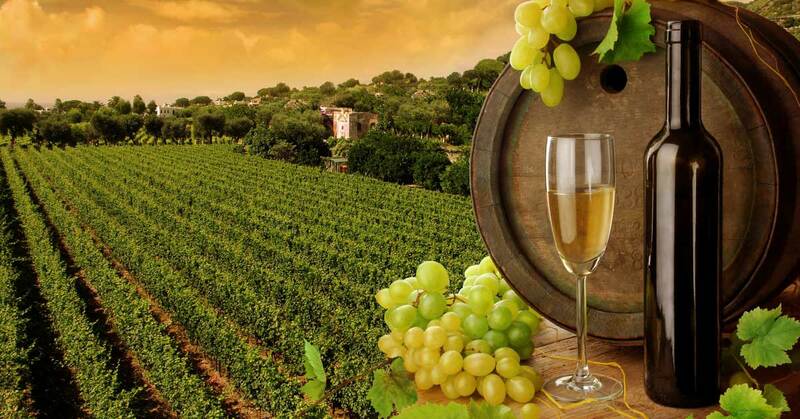 Book your wine trip with Silk Road Transportation and enjoy all the tastes that wine has to offer. Our transportation is the best with it’s spacious and luxurious vehicles set for as many as parties of 16. Don’t ever worry about getting safely around while on a wine tour, we have your covered st Silk Road Transportation! Check back for our next blog where we go over the different red wines to try!